Holding Area for the Standing Zone ticket holders opens 4.25 hours before show time. 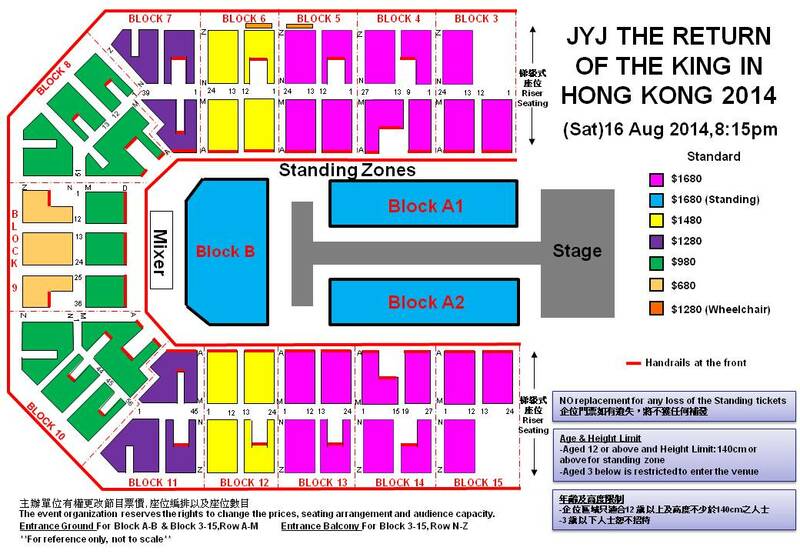 Standing zone ticket holders should queue up at the Holding Area according to both the ZONE/SECTION and the sequence of queuing number as printed on the ticket. The seating arrangement will be subject to change as the case may be. AsiaWorld-Expo Management Ltd. reserves the right to amend the arrangement without prior notice. 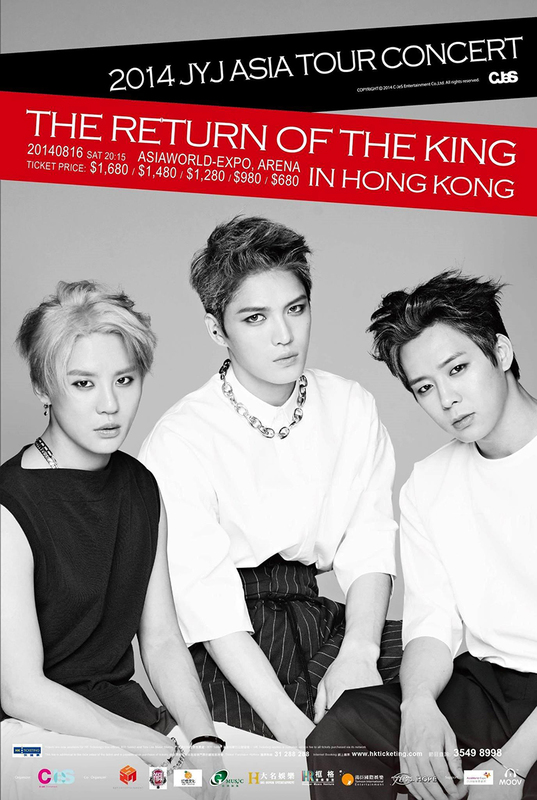 Tickets are now available at all HK Ticketing, K11 Select and Tom Lee Music Stores. 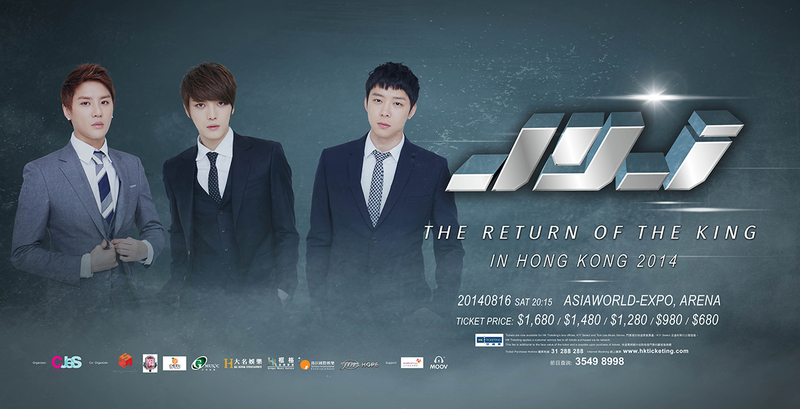 ※ HK Ticketing applies a customer service fee to all tickets purchased via its network. ※ This fee is additional to the face value of the ticket and is payable upon purchase of tickets. 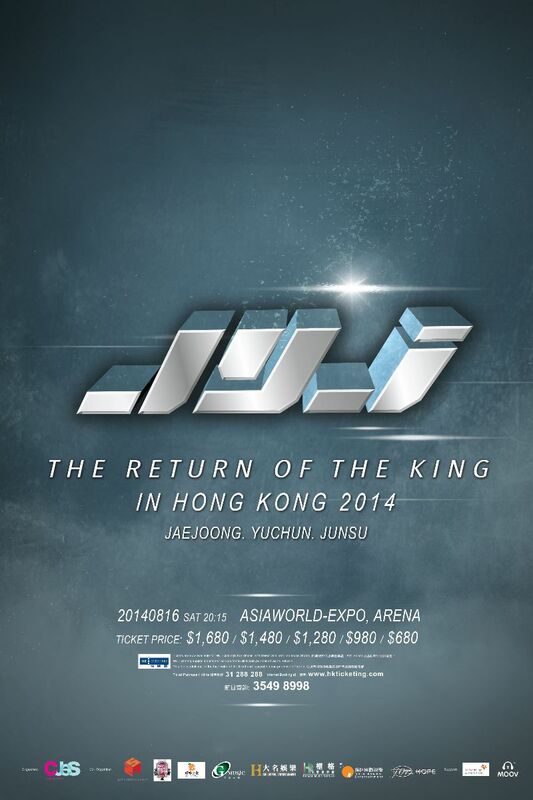 BONUS: 2014 JYJ ASIA TOUR CONCERT in HONG KONG ‘THE RETURN OF THE KING’ Concert Posters. This page was last modified on August 3, 2014.